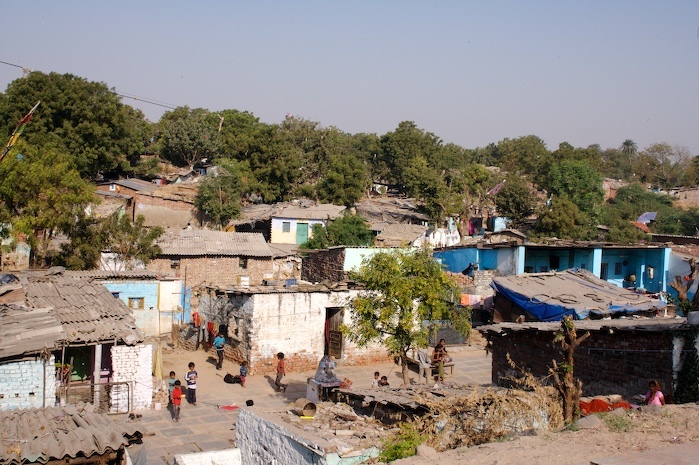 Even as the Gujarat government is planning to come up with a new slum policy 2013, with “rehabilitation” of the slum-dwellers with the help of private developers as the key thrust, available literature suggests that any effort to uproot slum dwellers would mean further heightening their already vulnerable status. The argument for “on-site slum upgradation” has found favour in another study, “Housing Solutions: A Review of Models”, by Pratika Hingorani, prepared for the Indian Institute for Human Settlements (IIHS). Referring to how this was successfully carried out in Ahmedabad, the study says, slum network partnership (SNP) is “more successful model of slum upgradation” as it created a “unique partnership between local government, NGOs, private industry and slum communities to design, finance and implement slum upgrading projects”. It has been found that securing tenure and community participation alone can prove crucial for any slum upgradation programme. Experts cite the Baan Mandong (secure housing) project in Thailand, in this context, which is being implemented since 2003 across the country. “The programme has led to upgraded housing conditions for more than 90,000 households with low-interest government loans, through the Community Organizations Development Institute (CODI)”, says UNESCAP. The tenure issue was solved like this: For a slum community to be eligible to participate, they must first set up a savings and credit group in which all the residents must be members. The savings group would pool together community savings to supplement the external funds that would be received through the programme. Next, community cooperatives would be established to act as the collective legal entity in whose name the land should be acquired, and who will receive the subsidies, loans and other funds. Thus, slum communities, acting through their community groups were responsible for finding the land on which secure tenure can be obtained. This land could be all or a portion of the land they occupied, or an alternative site, and could be public or private land. Negotiations would then ensue to determine the type of tenure – for example, leasehold, freehold – that the slum communities would have, and the price at which this will be obtained. CODI would then loan the money for this transaction to the community at a subsidized interest rate. Loans would subject to a cap usually determined on a per household basis. CODI also would loan money for shelter upgradation to community groups who they further lend the money to their members, at a slightly higher rate of interest. “Using this method more than 90 per cent of the communities in the programme have managed to get substantially more secure tenure than before. Once tenure is secured, infrastructure subsidies from national and local government help pay for the cost of internal and connecting infrastructure to the site”, the IIHS study underlines. However, “State of Asian Cities 2010/11” a report jointly prepared by UNESCAP and UNHABITAT, suggests how failure to go ahead with slum upgradation in Ahmedabad led to continuance of poor living conditions in Ahmedabad’s slums. Schemes such as Baan Mandong in Bangkok showed “that a citywide slum upgrading approach” became “effective”. This was against the “piecemeal, project based improvement of a few slums” in Ahmedabad. Ahmedabad’s slum networking programme, designed to take in all the slums in the city, remained a pilot project. No doubt, civil society took care of community mobilization and development while municipal authorities acted as facilitators by severing the link between tenure status and service provision by issuing ‘no-objection certificates’ which enable those who reside in houses of less than 25 sq. m. to connect to the water network.